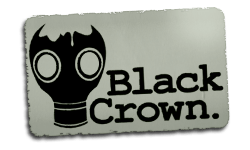 The Black Crown Project, Random House UK's new foray into interactive fiction, is now live. Players of BLACK CROWN join the shady Widsith Institute as clerks, whose work is managed through the application of bespoke diseases, to facilitate the task of categorising and analysing the Institute's archive of diaries and journals, belonging to the world's greatest explorers, those who travel beyond the edge of the world. Over the course of the story, users will begin to learn about the mysterious figure of the Miasma Eremite, who journeyed to the town of Loss, through the exploration of numerous bizarre objects and documents brought back to the Institute from its singular civilization. 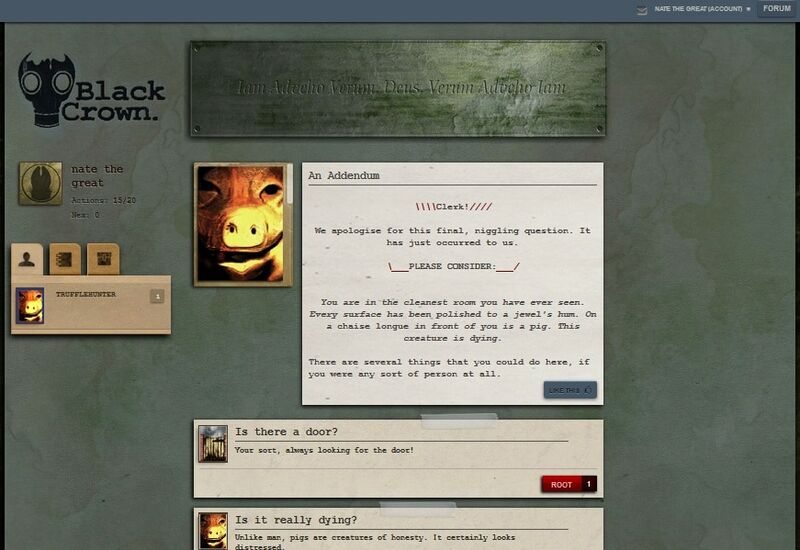 The gameplay is a relatively straightforward interactive fiction, with a few quirks. Players are presented with a peice of text which describes their current situation and are offered several possible choices for how to respond. I'm still just beginning to play the game but some of the choices are rather odd, I must say. I'm more used to the literal choices found in CYOA novels, so when I was presented with non sequiturs like "What am I wearing?" or "Is there a door?" I was forced to stop and ponder what to do next. That's a new one for me. The game is free to play, but certain story lines are only available to paying customers. There are also going to be a number of tie-in novels, and the first two already available. Mour, Mour, Mour and Lincoln's Bedsheet are available as free downloads in the Kindle Store and elsewhere. The Black Crown Project was developed in partnership with Failbetter Games and Popleaf. It's based on Failbetter Games's StoryNexus platform, and tells a story based on a story written by Rob Sherman with additional content added by Popleaf.